"The odds of quitting were 28 percent lower for smokers using e-cigarettes than people not using e-cigarettes," said senior author Stanton Glantz, of the Center for Tobacco Control Research and Education at the University of California, San Francisco. Should guidelines change to begin screening at an earlier age? Hendren says not so fast. “This would be a big and costly change, and I don’t know whether it would help more people than it would hurt,” she says. For their study, Hendren and her colleagues studied nearly 40,000 colorectal cancer patients whose average age at diagnosis was 42 and compared them to older patients. For the first time, data shows the stage (one to four) at which cancer is detected by the different routes to diagnosis – through screening, by a GP referral**, or as an emergency. The announcement scraps the previous guidelines that patients had to wait for the chemotherapy drug docetaxel until existing hormone-based treatments had stopped working. 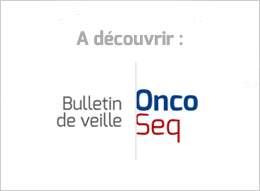 Data from the Phase 2 Spruce™ trial evaluating the combination of apatorsen with carboplatin and pemetrexed in patients with untreated metastatic non-small cell lung cancer (NSCLC) did not reach the statistical significance required to demonstrate a progression-free survival (PFS) benefit. Pfizer UK’s Ibrance (palbociclib) has cleared the first hurdle to joining the UK’s Early Access to Medicines Scheme after being awarded ‘Promising Innovative Medicine’ status by the Medicines and Healthcare Regulatory Agency. The latest green-light means that Kyprolis (carfilzomib) injection can be used in the US in combination with dexamethasone, or with Celgene’s Revlimid (lenalidomide) plus dexamethasone, to treat patients with relapsed or refractory multiple myeloma who have received one to three lines of therapy. This is the seventh approval for Opdivo in just over a year, and the fourth for late-stage melanoma. FDA also expands use of Opdivo as single-agent to include previously untreated BRAF mutation-positive advanced melanoma patients, based on accelerated approval. "It is worrisome because it is a conflict of interest even if you can’t prove it changes their position," says Ezekiel Emanuel, an oncologist and professor who chairs the University of Pennsylvania's department of medical ethics and health policy. "The patient voice carries a disproportionate amount of weight." The independent Committee decided that a consultation on the draft recommendations was not needed for this appraisal, so the recommendations could go straight to a final appraisal determination. "The preliminary overall response rate is certainly promising, but I am particularly intrigued by the pattern of delayed and durable responses potentially suggesting an immune mediated mechanism of action," said Nathan Bahary, principal investigator of the study. In conclusion, although gemcitabine is currently the standard of care, we are far from raising the bar, with disappointing 5-year survival rates of 10% to 30% in patients with resectable disease. Much remains to be understood regarding the interplay between cytotoxics, biologics, immune therapies, and the tumor microenvironment, and the careful selection of target antigens to avoid collateral autoimmune toxicity. Multiple analyses examined ABRAXANE (paclitaxel protein-bound particles for injectable suspension)(albumin-bound) and gemcitabine followed by 5-FU-based regimens. Ms Pearce said she was shocked to discover that the company’s policies would not pay for preventive treatment – even if the odds that a patient would develop cancer were overwhelmingly stacked against her. “It seems cruel and ridiculous that they are effectively saying to me, ‘Come back when you have got cancer,’” she said. We are truly excited and fully prepared to work with researchers, advocates, patients, our partners in the private sector, and many others to achieve the Vice President’s vision. Douglas R. Lowy, M.D. - Acting Director, NCI. The New England Journal of Medicine is taking a lot of shots for this editorial on the sharing of data.